BABCPHL Board Member, prior two-time President, and accountant, Howard M. Silverstone, MBE, CPA, CFF, FCA, CFE is featured in the January 28, 2019 Pennsylvania Institute of Certified Public Accountants podcast. If you missed reading about Howard and the award he received from the British Crown in the Autumn edition of the BABCPHL e-newsletter, you can listen to Howard tell his story. Click here and make sure you have your speakers turned up. Congratulations Howard! The BABCPHL is pleased to congratulate Howard M. Silverstone on his appointment by Her Majesty The Queen as a Member of the Most Excellent Order of the British Empire (MBE). This honor is in recognition of Howard’s services to British business in the United States. Howard has been a member of the BABCPHL since its inception more than 25 years ago. He has served two terms as President and is currently Programs & Events Chairman. For more than a quarter century Howard has dedicated his time and resources to strengthening the relationship between the UK and the Greater Philadelphia region. Howard actively promotes the relationship between the UK and the Greater Philadelphia region through his voluntary efforts with the BABCPHL. Howard is a highly committed BABCPHL Board Member. He served as President on two separate occasions, and in various Vice President roles, such as Marketing & Communications Chairman. He is the current Programs & Events Chairman. As a BABCPHL board member and two-term President, Howard has helped the BABCPHL overcome the biggest challenge it faces as an international organization: that of the transient nature of its members. BABCPHL has to continually service its existing members, as well as seek out new ones. Howard’s work on the board and as President has continually addressed that challenge, through successful meetings, presentations, and speeches that have directly benefited BABCPHL’s constituents with business interests in the UK. Throughout his tenure with the BABCPHL, Howard has helped the organization expand. Approximately once a month, Howard presides over or participates in a BABCPHL program about a current issue or event affecting the trade and commercial relationship between the Greater Philadelphia region and the UK. Program topics may include but are not limited to: transatlantic business, cybersecurity, sustainability, global mobility, and healthcare to name several. BABCPHL events involve the following industry sectors: financial services, life sciences, travel & leisure, banking, insurance, media & technology, sport, etc. Howard has also consistently supported BABCPHL efforts to raise funds and awareness for underserved or disadvantaged groups through annual community service programing and other-related projects. While Howard is occupied day in and day out with his privately owned and managed forensic accounting firm – Forensic Resolutions, Inc. – he always finds time to dedicate many hours per week to the BABCPHL. His commitment has had immeasurable impact on the region’s relationship with the UK both financially and culturally. Howard’s support has enabled the BABCPHL to continue to facilitate the social and commercial interaction of individuals and corporations on both sides of the Atlantic. Howard is an outstanding ambassador for the UK in the US. During his early years in America, upon learning about the BABCPHL, he immediately sought out and became affiliated with the Organization. The BABCPHL is the premier international business association and the only UK dedicated group of its kind in the area. This affiliation afforded Howard the opportunity to network with professionals who shared his interests and connections to the UK. Originally only planning to stay one year, Howard made the most of his experience and decided to remain in America. Then, today, and into the future, Howard is passionate about connecting with others. He is always eager to build bridges to enhance the strong economic and cultural ties between the Greater Philadelphia region and the UK. The BABCPHL wishes Howard heartfelt congratulations on receipt of this very well deserved recognition, and sincere thanks for the many years and hours of service he has dedicated to promoting our Organization’s mission. Click here for a complete listing of the Diplomatic and Overseas Birthday Honours List. Souderton, US, May 23, 2018– Almac Group, the global contract pharmaceutical development and manufacturing organization, is proud to recognize the appointment of George Tiger, Vice President of Global Business Development, Almac Clinical Technologies, to the BABCPHL’s Board of Directors. Leading global commercial activities for Almac Clinical Technologies, Tiger is responsible for the company’s commercial strategy and execution, working to build and strengthen client relationships, advance the industry-leading Almac ONE solution and expand strategic partnerships. He has over twenty-five years of success in sales, marketing and general management. Prior to joining Almac in 2015, Tiger served as Sr. Vice President for Health Market Science, and served in a number of global leadership positions with ERT and Abbott Laboratories. He is a graduate of Lafayette College with a BA in Economics and Business. Last year, the Almac Group hosted Ross Allen, Deputy Consul General and US Director of the Department for International Trade, and John Hoggard, Vice Consul and US Healthcare Sector Lead, to present a comprehensive overview of Almac’s history, global presence, and local operations. Valarie Higgins, President & Managing Director of Almac Clinical Technologies, was also a recent finalist for the BABC’s global Transatlantic Growth (TAG) Women in Business Silver Award, which celebrates successful companies growing their transatlantic business, for her work to implement a successful growth strategy between Europe, the US, and internationally. To learn more about Almac Group’s work in the US and globally, please visit: https://www.almacgroup.com or e-mail media@almacgroup.com. The British American Business Council (BABC) of Greater Philadelphia promotes the trade and investment relationship between the United Kingdom and Southeastern Pennsylvania, Southern New Jersey, and Delaware. The United States of America and the United Kingdom are each other’s largest investors; together we have approximately $1 trillion invested in each other’s economies. The BABC is part of the largest transatlantic business network with 22 chapters, and more than 2,000 member companies based in major business centers throughout North American and the United Kingdom. Members include many of the world’s largest multinationals as well as thousands of middle market and privately held entities across industry sectors. People throughout the world are looking forward to watching the Royal Wedding which will air live from London on Saturday, May 19. The BABCPHL is pleased to recognize the growing Royal Family. Within the short time span of just a few weeks, The Duke and Duchess of Cambridge welcomed their third child, Prince Louis, on April 23, and Prince Harry will wed Ms. Meghan Markle this coming Saturday. BABCPHL prior two-time President, and current Programs & Events Chairman, Howard Silverstone, was interviewed by the press about this exciting event. Click through the below links for press coverage. 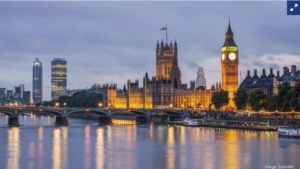 With offices in both London and New York, BritishAmerican Business (BAB) is the leading transatlantic business organisation dedicated to helping companies build their business on both sides of the Atlantic. Our membership brings together the world’s leading multinational and middle market companies across all sectors and geographies. Who are TAG Awards for? On Tuesday, September 26, 2017, the BABCPHL hosted a cybersecurity seminar outlining the threat landscape; presenting the mitigation responses; and discussing the complexities of the topic. Technology is both a blessing and a curse, and cyber criminals do not need visas or passports to travel between countries. Cybercrime permeates the globe, and humans are the weak link. Social engineering plays a big role in the cybercrime equation. More than 50 people from the British, French, German and Italian Chambers gathered for this dynamic discussion at the Chamber of Commerce for Greater Philadelphia. Dr. Robert D’Ovidio, Associate Professor in the Department of Criminology and Justice Studies and an Associate Dean in the College of Arts and Sciences at Drexel University, framed and introduced the subject matter. “Online safety is a very complex problem, and it is highlighted by the diversity of the people engaged in using the very technology.” Rob explained no comprehensive solution exists to protect businesses and people. Companies and individuals must have responsible environments and promote dialogue about conscientious behaviors. He set the stage for each of the panelists to discuss what constitutes a breach notification; the importance of prevention plans and education; the current risks; and the variation of laws and standards depending upon jurisdiction. To kick things off, Rob asked Larry Hershman, Partner at Black Cipher Security to lead the audience through a two minute split screen user/hacker example. Watching silently, attendees squirmed and blood pressures rose. The dramatic hacking demo showed just how sneaky a cybercriminal can be, posing as a helpful security measure update, when in fact they are anything but that. Hackers often rely on social engineering to gain access to valuable data without the compromised individual ever even knowing their information was breached. This visual example showed how easy, quick, and simple a cyberattack can be executed. In addition to walking the audience through the hacking demo, Larry talked about the types of cyber threats that are currently out there. He discussed what can be done to mitigate risk, and how to manage complex digital forensic and data breach investigations. Mitigation includes five steps (1) determining if what happened is an incident or a breach; (2) containing it; (3) eradicating it; (4) restoring information; and (5) comprehending lessons learned. Larry also focused his discussion on personally identifiable information (PII); how it is regulated; and the latest tools and techniques available to protect data. Dan Castle, Information Protection Director at Cigna focused on identity and access management (IAM) – ensuring the right people have the right access to the right systems for the right reasons at the right time. Dan explained IAM is a core business function, not a technical one. Entitlements are generally grouped into roles, and individuals are not granted entitlements directly, but rather through roles. These roles need to be managed as employees join, move within, or leave an organization. The challenge of being globally consistent while also regionally respective is tricky to navigate. Dan described the area of IAM as complex in nature. Much depends upon how well educated the users are; who has access to what information; and how data is stored and secured. Multi-factor authentication (MFA) has to be the way forward. Michael Davis, Principal at Ernst & Young LLP focuses his practice on integrating cyber solutions and controls into business processes and technical operations for life sciences and health care industry clients. Michael laid the groundwork for his discussion by explaining how companies need to start by identifying what is most important to protect, and understanding how regulations and compliance mandates are addressing cyber risk. Michael stated, “People are the weakest link. Attackers, while sophisticated, are lazy. They go for the easiest targets.” The financial services industry, buying and selling credit card information for example, used to be the easiest group to hit. Currently, the health care industry is a soft target. Criminals target an individual within an organization to stealthily capture third party information, and then use very basic internet research skills to obtain additional details about a person. For example, cyber attackers steal personal information such as name, social security number, email and mailing addresses, etc. and then do a comprehensive search of social media and other sites where people willingly give away their identity, including things like children’s and pet’s names, to round out a person’s identity. If an individual’s personal healthcare record falls into the wrong hands, the aforementioned personal data isn’t the only information obtained. Now medical issues, such as diseases, medications taken, etc. are in the hands of an unauthorized individual. A breach can suddenly turn into a question of life and death if a medical record is altered, and a wrong prescription is filled, and administered. Presenters provided extremely valuable information, and painted a truly alarming picture of the threatening landscape we all traverse on a daily basis. Cybersecurity is undoubtedly a global top of mind issue affecting individuals, companies of all sizes, and every industry sector throughout the world – no one is exempt. Before inviting audience questions and answers, Rob ended the presentation portion of the seminar by asking each panelist what keeps them up at night. Michael said the speed at which everyday life is being integrated with technology. Dan said the internet of things – technology creating a trail. And Larry said the lack of awareness and understanding that everyone is a target. Every person in the room left the seminar with the clear realization that cybersecurity must be at the forefront of business practices as modern technology continues to evolve and develop. The BABCPHL extends special thanks to event sponsors without whom this program would not have been possible: Black Cipher Security, Cigna, Ernst & Young LLP, and the Welsh Government. New British American Business Council head hopes to enhance local ties with the U.K.
After spending much of his career handling cross-border deals, Morgan Lewis & Bockius partner Michael Pedrick has been appointed president of the British American Business Council of Greater Philadelphia (BABCPHL). Pedrick, a founding member of the organization, will serve a two year term. During that time, he said he hopes to provide key programming for local businesses on hot topics such as Brexit while also spreading the organization’s reach. Pedrick, a New Orleans native, joined Morgan Lewis in 1988 and represents borrowers in financing transactions and corporate clients in strategic acquisitions and internal restructuring. Many of his transactions are cross-border in nature, with a good number of clients either emanating from the United Kingdom or U.S companies seeking to do business there. Pedrick has been involved for about 15 years with BABCPHL, which is one of 22 chapters in the United States, United Kingdom and Canada. He said membership includes over 250 companies and individuals that have businesses in the region. There are “club level” members offered by invite only to companies interested in a more committed relationship with the organization. They include law firms Drinker Biddle & Reath, Duane Morris, Morgan Lewis and Pepper Hamilton, TD and HSBC banks, American Airlines, United Airlines and Virgin Atlantic Airways, Cigna and all of the Big Four accounting firms. Pedrick said he met with Philadelphia Commerce Director Harold Epps and the department’s Director of International Investment, Lauren Swartz, to discuss how he can work with them to facilitate more business activity with U.K entities. “I met with them so if they have something that requires recruiting a U.K. business, we will work with the city and state to help those businesses understand the atmosphere here,” Pedrick said. The U.K. is the fourth-largest trade partner with Pennsylvania, behind Canada, Mexico and China — a statistic that mirrors many other states. Pedrick said the biggest industry sector in the U.K. is chemicals and two-thirds of the businesses are small or midsized. Swartz said the U.K. is also the foreign country with the largest number of companies and employees in this region. drug companies GlaxoSmithKline and Adaptimmune both have significant operations in Greater Philadelphia. More recently, Frank Recruitment Group, a British staffing firm focused on tech jobs, signed a five-year lease last year to take a 21,300-square-foot office at 1801 Market St. and said this summer that it was nearly halfway toward meeting its goal of creating 250 local jobs. U.K. sandwich chain Pret A Manger expanded into Philadelphia for the first time this summer when it opened two locations at the University of Pennsylvania. The latest entry into the market is Shout Digital, a digital marketing firm founded in 2009 that recently opened offices in One Liberty Place. There are also U.S. companies expanding into the U.K. market. In May, Center City-based startup Curalate, which creates software that links brands’ online visual content to points of purchase, announced it’s officially launched a U.K. arm to take advantage of the growing demand it is experiencing in Europe. 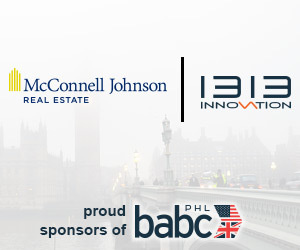 At Philly Tech Week last May, BABCPHL held its annual “Uber and Out” discussion on tech in the region and how U.K. businesses play a role in its growth. BABCPHL has two events coming up in the coming weeks. One deals with global cyber security issues and the other explores the future economic relationship between the EU and the UK, including strategic direction; steps toward Brexit; legal implications; and employment and data protection/privacy laws.